The glory and excitement of the Paralympics seems far away now but the Irish stars recaptured some of the magic at the first Irish Paralympic Awards in Dublin this week. Gold medallist Bethany Firth won gold in the S14 100m backstroke at just 16 years of age and took home the Outstanding Female Performance. 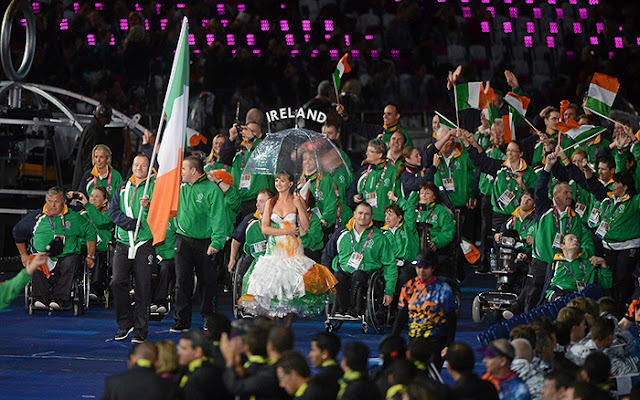 Anne Ebbs, former secretary general of the Paralympic Council of Ireland was given the highest recognition the movement can offer when she received The Paralympic Order. So many memories from a fantastic fortnight of sport and emotion. It's hard to pick favourites really. You could also make a case for cyclist Catherine Walsh or young equestrian Helen Kearney. Swimmer Ellen Keane is another athlete we will definitely see again, hopefully in Rio 2016. In all the Irish team - men and women - came home with eight gold, three silver and five bronze medals.